There was a time when retailing was a relatively straightforward process. Open a store, stock the shelves, advertise, and sell. In today’s rapidly evolving retail landscape, however, the digitally-immersed consumer has different expectations and there’s no question that customer experience fuels today’s retail. Consumers no longer just shop in stores, and they no longer just want to shop online. What consumers today demand is an integrated, frictionless, omnichannel experience that enables them to shop when, where, and how they want. According to the Retail’s Digital Crossroads: The Race to Meet Shopper Expectations report from BRP Consulting, providing that level of customer experience fuels today’s retail trade. What is also reveals, however, is that there is something of a gap between expectation and execution when it comes to the digital experience the consumer currently experiences. Let’s take a look at the research to understand why this is happening and, more importantly, what retailers need to do to be able to meet those expectations and increase customer engagement, both in-store and online and also how customer experience fuels today’s retail. Physical retailing is no longer a stand-alone process and, without question, customer experience fuels today’s retail. That’s why it’s critical that retailers understand today’s linear consumer journey. Take a look at the graphic from the BRP report …. As you can see, consumers are using devices to do their homework before physically going into a store to shop, and they’re also using their devices in store to continue their path to purchase. That includes price comparison, both pre-store visit and in-store, checking customer reviews both pre-visit and during, as well as checking inventory. When retailers understand this consumer behavior and, more importantly, understand that this behavior is an integral part of the customer experience for buyers, they can better serve up the customer experience shoppers desire. The retailer’s digital capabilities sit at the core of providing the experience the consumer seeks. But, as this graphic illustrates, many retailers are under-investing in technologies the consumer finds useful, while over-investing in misaligned areas. Note that the things that are easy for customers to do with or without the assistance of the retailer include: Finding a nearby store, building a shopping list, and sharing product details on social networks are areas retailers seem to focus. Conversely, on the issues that matter most to shoppers, things like price comparison, inventory, and availability for in-store pickup, retailers are often failing their customers. The way to solve this? Integrate a customer-centric focus into every bit of the business operation and the shopping experience, in store and on device. If you’re working toward a better retail customer experience, start by redefining the store. The function of the store is no longer just to be a channel to display and sell products. Retail environments now present an opportunity to play a far greater role in promoting the brand and crucially, in enhancing the customer experience. 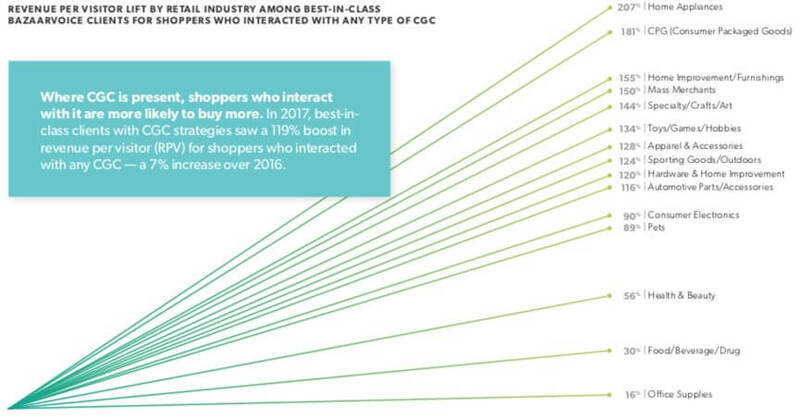 Savvy brands are finding new ways to create in store experiences as well as utilize in store technology, with some ecommerce players even opening new stores to build the brand and amplify sales as this graphic describes. Brands like lululemon are moving beyond the pure retail experience and working to create a brand identity and a customer experience that are more meaningful to customers than simply a retail experience can offer. In the case of lululemon, this might include in-store events like Yoga classes and sports clinics, and other fitness-related events. Brands that are purely online, like women’s personal care brand Lola, are moving beyond feminine care products like pads and tampons and into sexual wellness and other health-care related areas and we might well see this extend to the physical retail space. Unfortunately, the study also suggests the majority of retailers are lagging well behind consumer expectations in almost every area of technology. Consumers clearly stated a need for speed and convenience in-store in areas such as self-checkouts, availability of Wi-Fi, and contactless or mobile payment options. In terms of having those customer experience features already deployed, retailers fell short at every hurdle. While that general picture might look a bit gloomy for retailers, there is much opportunity for those that move ahead of the game with next-gen technology. Two factors play into this. Two areas in particular stand out as opportunities: Returns and proximity-triggered mobile coupons. Both features rate very highly as part of the customer experience for consumers, yet retailers have a much lower perception of their value and less than one in ten currently meet consumer expectations. The prospects are good for the retailers who can overcome that expectation-to-execution gap and can ensure that customer experience fuels today’s retail. If retailers are to prosper in an overcrowded marketplace, they need to overcome these barriers and fast. Finding a budget that will allow them to stay relevant in an increasingly fickle retail economy is critical. And that doesn’t mean buying into every bit of technology out there. What I do mean is that it’s incredibly important to re-map the entire customer retail experience, with a customer-centric focus this time, forgetting everything that represents the “this is the way we’ve always done it” mindset. Tap your customers for feedback, ask them what they value, ask them what would make their experiences with your brand more meaningful, efficient, and enjoyable. Then, invest the time and the money necessary to develop an integrated customer experience strategy in conjunction with an integrated marketing strategy. This approach has the potential to pay significant dividends, as this final graphic from the report illustrates. We understand how important the customer experience is to success for the retailer. But what are the specifics of achieving the desired experience and how exactly customer experience fuels today’s retail? Another recent report, the Shopping Experience Index from Bazaar Voice, sheds some light on the topic. Let’s take a look at some of their findings. The results for those who get their CGC offering right are impressive as this graphic from the report illustrates. If you want to take a deeper dive into mobile optimization, this is a topic Chris Meier covered very comprehensively in an earlier article: How to Optimise Your Business for Mobile. We know that consumer-generated content is powerful when it comes to retail success, and it’s expected that visual content as part of an effective customer experience is also highlighted in the study. The report claims a 96 percent interaction rate with visual CGC among the best-in-class retailers in the Bazaarvoice Network, with a corresponding 55 percent increase in conversion lift from shoppers who engage with visuals. Visual CGC from social platforms is cited as having the highest conversion and RPV lifts of all customer content. According to the report, “consumers lean heavily on visual content across social channels to observe trends, absorb the experiences and behaviors of others, and discover the products that people like them are using.” Well hello influencer network and brand advocates, out there working with brands, creating visual content, sharing with their networks, and adding tremendous value for retailers. 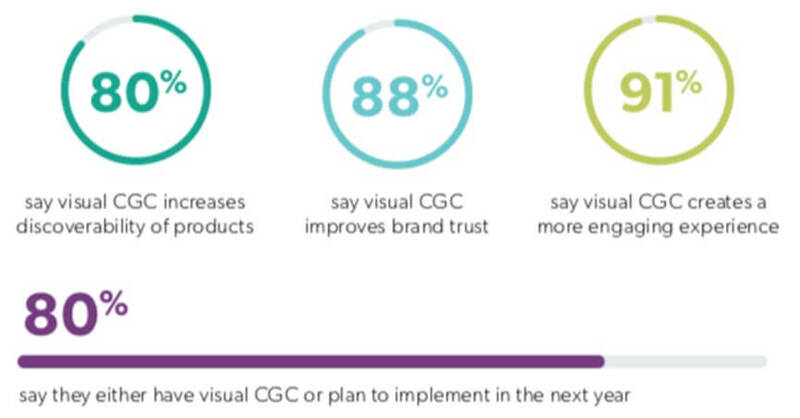 Little wonder then that visual customer generated content is rated so highly by respondents to the study, with eight in ten indicating they already have, or will be implementing visuals shortly. Yet where are brands when it comes to using, or maybe even recognizing CGC? Pretty much not there on many fronts. It always amazes me how many brands completely ignore consumer-generated content and instances where their brand could get a huge lift by simply paying attention. I share images and tag brands all the time on a variety of channels, but mostly on Instagram. In 97 percent of instances, brands aren’t monitoring for mentions and completely miss an opportunity to engage with me, and with my very large network of engaged friends. Not smart. Missed opportunity. And oh, so very easy to do. It also amazes me when brands still haven’t figured out the importance of influencer marketing and how much value influencers can potentially deliver for them. People want to see things in action, whether that’s shoes, clothing, makeup, haircare products—you name it, it’s a safe bet that working with influencers as part of an integrated marketing strategy can help deliver both brand awareness and sales. And yet far too often far too many brands are still relying on consumers discovering their products in the mall. Not really the safest marketing strategy these days, is it? The study foresees an increased focus on engaging with consumers in their preferred places—which is in social media channels, on mobile devices, and in-store. The use of consumer-generated content, especially visual, is seen as being a critical part of the customer experience, with syndication adding particular value. As ever, the acquisition and analysis of consumer data is being viewed as a top priority in delivering a personalized experience to meet consumers’ expectations. Of course much of this information isn’t new. 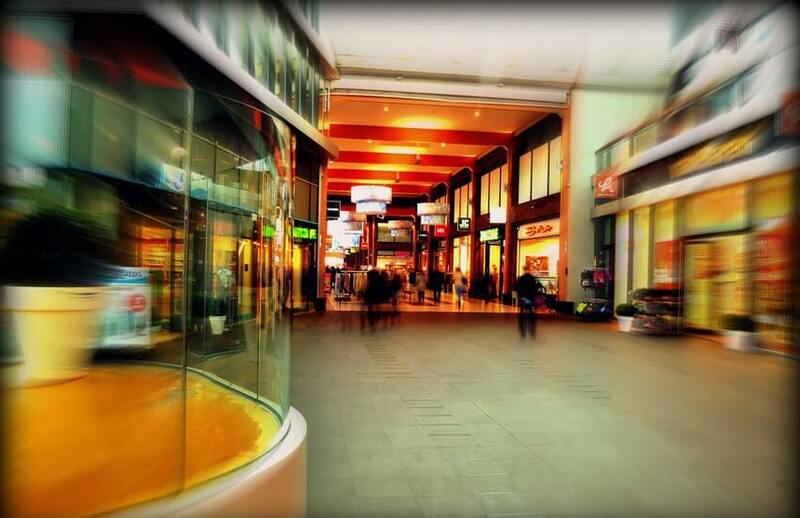 It seems as though I talk about, and others knowledgeable in the space, talk about the importance of customer experience almost incessantly and also about how customer experience fuels today’s retail. But we’re still far from ‘there’ when it comes to brands putting customers front and center, and building everything they do around customer preferences, desires, expectations, and needs. What is emerging, however, is the growing acceptance that in today’s unified commercial retail landscape, meeting shoppers’ expectations needs a much more personalized, integrated strategy across both physical and digital entities. Retail has been, and continues to be at a major crossroads and those who choose the right path are likely to reap the benefits. Reports like this are essential reading for anyone with an interest in the future of retail; you can follow the links below to download the report in its entirety and I highly encourage you to do so if you want to find out more about how customer experience fuels today’s retail (registration required).